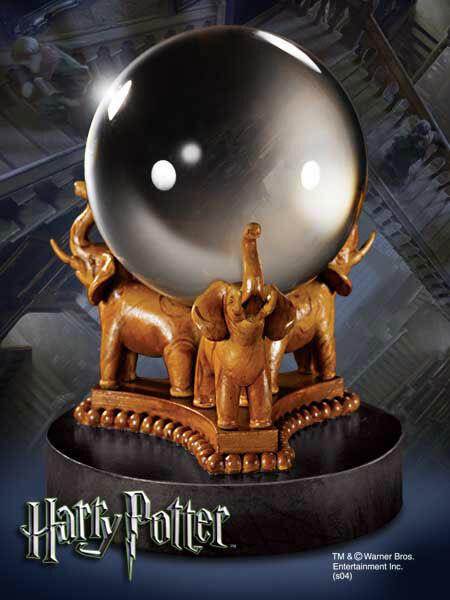 Crystal ball for divination - Discover your future through the crystal ball of course divination Ms Trelawney. Three elephants supporting a magic sphere. The ball and the support measure 12.5 cm.